In the interests of simplicity and efficiency, the old www.densewords.com website is now formally retired, and the address www.densewords.com now redirects here (www.harrydewulf.com). 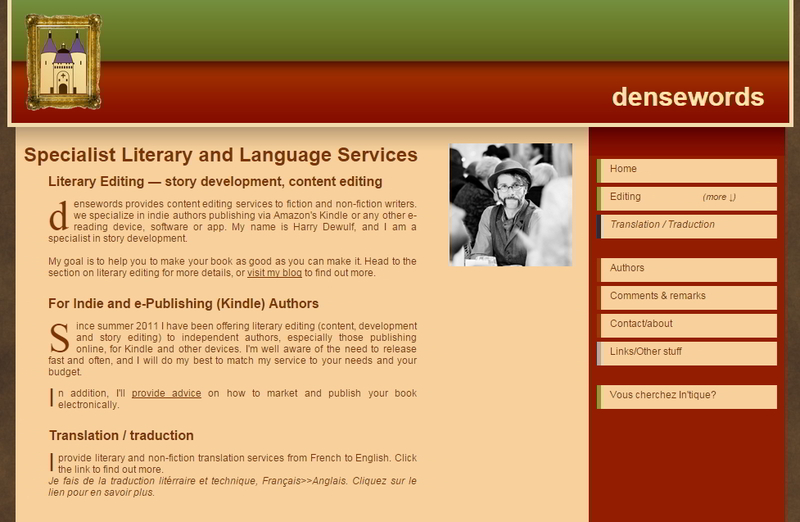 This makes no difference to the services that I'm offering to authors, but it does streamline my online presence, and also limit's any confusion over which out of Narrative Path, densewords.com and harrydewulf.com people should come to. "densewords" continues to be the name of my editing activities, and I continue to use the "Porte de la Craffe" logo.